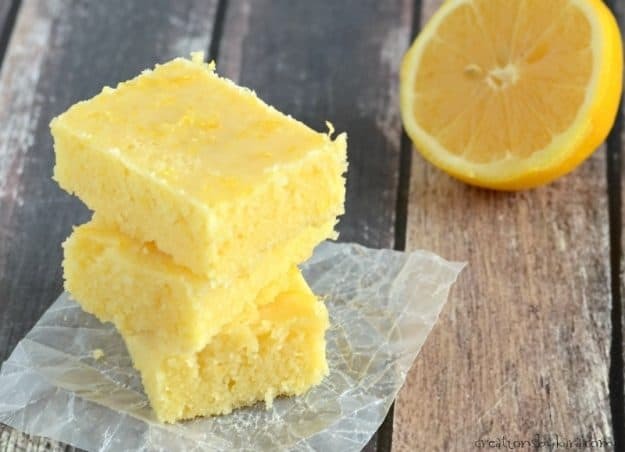 Amazing Lemon Brownies . 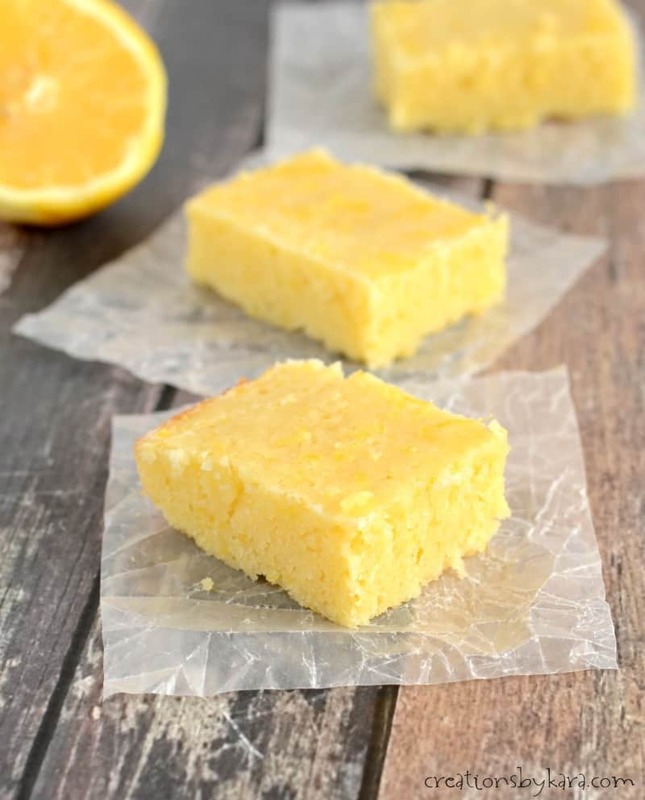 . . soft and chewy lemon squares topped with lemon glaze. 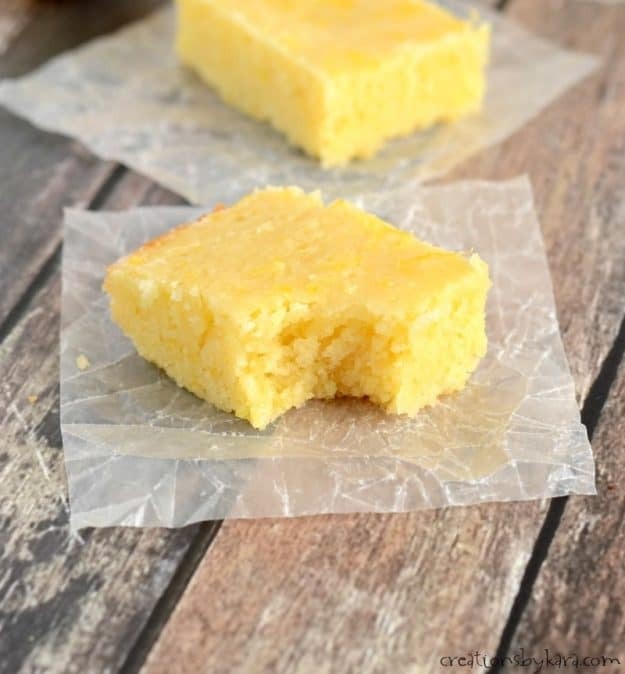 We like them better than traditional lemon bars, and they are easier to make! I don’t know about you, but I am a big fan of lemon desserts, especially during the spring and summer months. Surprisingly, I don’t love traditional lemon bars. I will eat them, but they are far from my favorite. 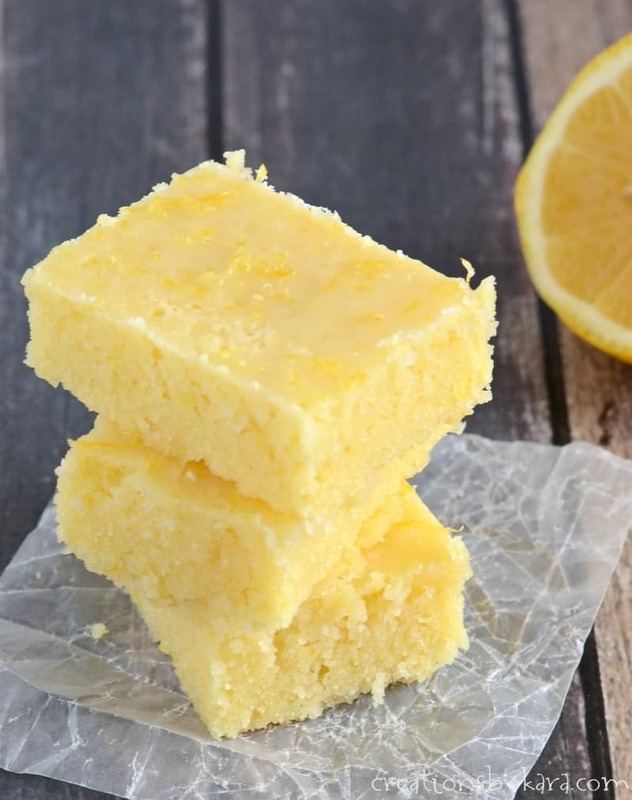 These lemon brownies on the other hand, I simply adore! I know some of you are thinking, “these shouldn’t be called brownies, they aren’t brown!” I know, I know. But of course you can’t call them lemon bars, because they aren’t the lemon bars that everyone is familiar with. They have the soft and chewy texture of brownies, and they are made just like brownies. So lemon brownies they are! Whatever you call them, they are out of this world delicious! I don’t think I’ll ever make regular lemon bars ever again because I like these so much better. So did my family. In fact, most of them won’t touch lemon bars, but they gobbled these lemon brownies right up. Making these lemon brownies is super simple, just like regular brownies. The key to the best flavor is the lemon zest. Without lemon zest, all of your lemon baked goods will be bland. It’s totally worth it to invest in a good lemon zester! 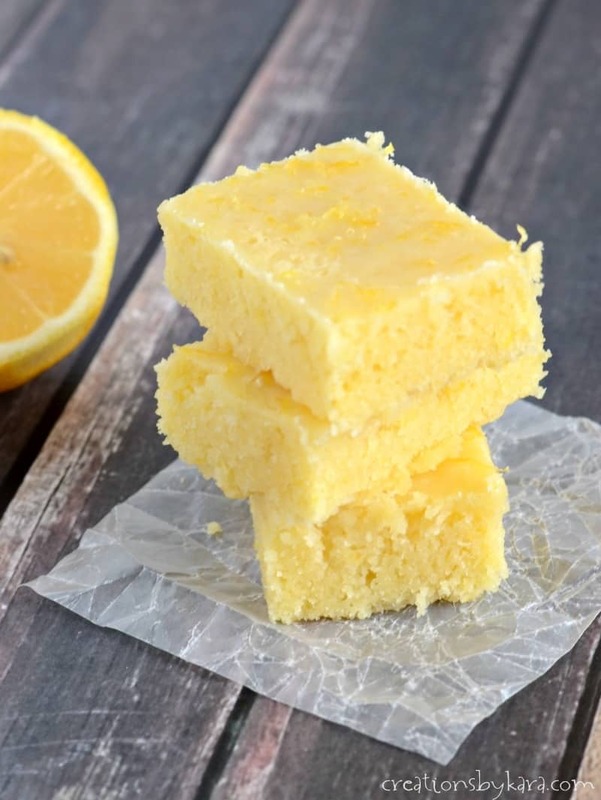 You can serve these lemon brownies warm or at room temperature. The flavor actually intensifies over time, so they are even more lemony the next day. 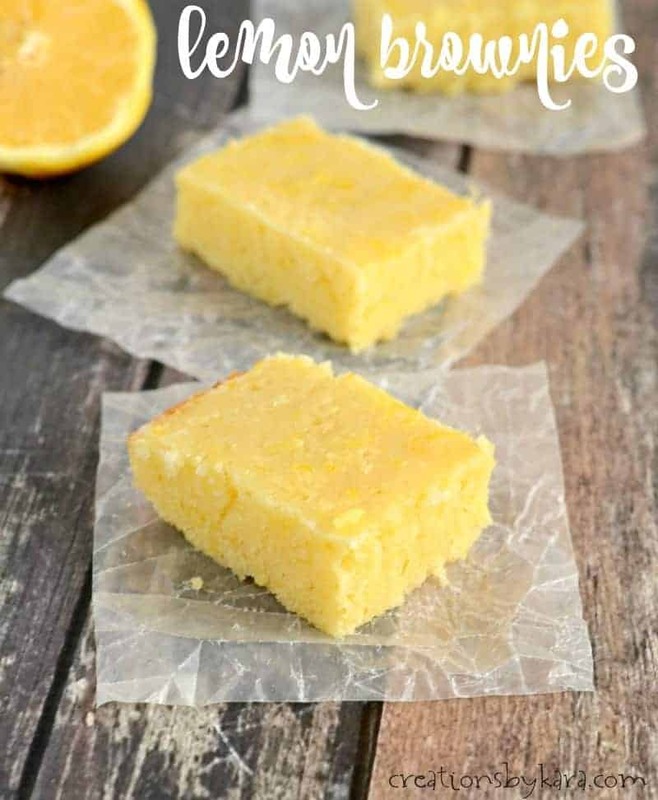 If you love lemon, they are sure to become a new favorite! Moist and chewy lemon bars with lemon glaze. Cream butter and sugar in a large mixing bowl till creamy. Beat in the lemon zest, lemon juice, and eggs. Stir in flour and salt till well combined. Spread the batter evenly into a 9x13" pan that has been sprayed with non-stick spray. Bake at 350° for 30-35 minutes or till edges are starting to lightly brown and middle is set. For glaze, whisk together all ingredients, adding enough lemon juice to make a pourable consistency. Spread evenly over hot bars. Thanks for sharing this recipe. I tried them last weekend and they were really good! Thanks for stopping by Marijke! I’m so glad that you tried them and loved them! The recipe doesn’t call for baking powder or baking soda, is it not necessary? Thank you. Nope, they aren’t necessary. That’s what gives them the chewy texture of a brownie. You could of course try adding some baking powder if you want them more light and fluffy. We made these a couple weeks ago (I actually think on your birthday haha) and am making them again today for our family reunion. They were delicious and perfect for family that don’t eat chocolate! I love all things lemon, so they are amazing! 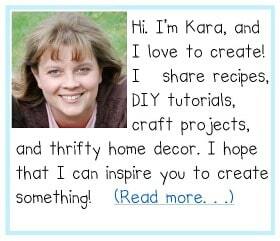 Thanks for another winner Kara! Definitely will have to try this one. I love lemon. Thanks for sharing! They look less messy than lemon bars ! I can’t tell you in words just how much I love lemon bars. Thanks for the recipe! YIKES, these look Danger-licious!!! I will make them this weekend to take to the ball game on Sunday. Thanks Kara for another Yum-Yum!!!! I definitely need to make them when I have somewhere to take them, they are dangerous for sure! Wow!! I made these and they were great! I have been looking for something lemony that I could serve guests in my home. These fit the bill so nicely and are so quick to make. Thank you so much for sharing your recipe. I am so glad that you made them and that they were a hit. That just makes my day!